Agree or Disagree: Raising Minimum Wage will hurt businesses. First of all, this is not a write up to claim the NDP is immediately raising the minimum wage to $15.00 an hour. I understand that every intent is raise minimum wage in increments. However, the discussion is still an important topic. Because, the plan is to raise minimum wage. So, for this, I would like to give two different perspectives. First, one that has some concerns of raising minimum wage for businesses. You can read that here. Second, one that is supportive of raising minima wages. This is from Seattle, where they raised minimum wage to $15 an hour. You can read that link here. Do you Agree or Disagree that raising minimum wage will hurt businesses? Agree or Disagree: Non Smoking Condos. After a condo fires in both Edmonton AND Calgary within the last week, there are people suggesting that Condos go Non-Smoking. In both cases, a cigarette in the condo caused the fire. In Edmonton, a Cigarette in a Diaper caused the fire. In Calgary, smoking material was put in a planter pot. For an apartment or condo perspective, we will go to Palo Alto California. They balk at the idea of restricting smoking. You can read their perspective here. What do you think? 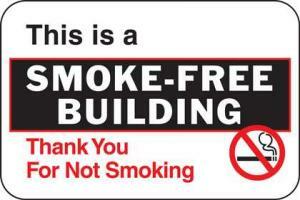 Do you Agree or Disagree with Non-Smoking Condos? A group of nine activists, including the The Trans Alliance Society, have filed a human rights complaint with the B.C. Human Rights Tribunal. They are requesting that remove gender from birth certificates. The reason? They feel that it is discriminatory towards transgender people. You can read the article here. However, I would like to give you a portion of this for you to consider. People who are legally assigned one gender, but identify with another, face a range of discrimination, the complainants argue. They say legally assigning gender at birth also hurts intersex children and people who don’t conform to male or female gender norms. “Having a misgendered birth certificate guarantees that trans or intersex or gender nonconforming children will suffer grief when they go to school, humiliation when they apply for a driver’s license, and discrimination and danger in every other circumstance where someone wants them to ‘prove’ their gender,” according to a statement from the group. Now, there will be some that will instantly disagree and resist this. So, I would like to ask this question. Why would something like this be important? As a straight man, I admit when I first saw this, I was surprised. I never really thought about it helping. How would something like this be beneficial? And do you Agree or Disagree that removing gender from birth certificates would prevent discrimination from transgendered people? It may seem like an odd thought. After all, Calgary’s downtown is very quiet. Other than the Stampede, or an occasional Flames playoff run, it seems like people go and work downtown and generally head home. But what if, and it’s a big what if, Calgary looked at an 24 hour downtown. Like Montreal did, for example. Last week, The Quebec government partnered with the City of Montreal bestow some specific neighbourhoods 24 hour access. Which means in a nutshell, if your business is in those areas, you can have your store open for 24 hours. Now let’s imagine for a moment areas like 17th Ave SW had this access. Or, Stephen Avenue. Would you support that? Would that help to revive downtown Calgary? Do you Agree or Disagree with a 24 hour downtown? This article is from Maclean’s Magazine. It suggests that Canada’s racism is worse than the America’s. Now in an instant, this might stun you. I mean we Canadians are so…..tolerant. But the article shows an interesting comparison between how Canada treats Aboriginal Canadians and how America treats African-Americans. In all areas, the Aboriginal population suffers a worse fate than African Americans. You can read the comparisons in the article and you might be surprised. There is a bunch more on this that you will read and reflect on. But first of all, do you think Agree or Disagree that Canada has a racism problem? And second, do you see it as worse than America’s? Agree or Disagree: Society has a cultural bias towards extroverts. One of my all time favourite books is Susan Cain’s book Quiet: The Power of Introverts in a World that Can’t Stop Talking. For the record, my Myers-Briggs is ENFJ. My E and I is close and my P and J are also close. I kind of look at myself as an Extrovert Introvert. One of the reasons I love Cain’s book so much is because it does shine some light on what presume is the success of the extrovert. It also shares how we underestimate the power of the introvert. As an example, think of some of the qualities we like in a leader. Great charisma, great communicator, ability to inspire etc. Qualities more recognized in an extrovert or an introvert leaders. We underestimate the ability to prepare and to push themselves and others. In this article, Cain argues that our society has a cultural bias towards extroverts. As an example, here is what she says about the education system. In a way education by its nature favours the extrovert because you are taking kids and putting them into a big classroom, which is automatically going to be a high-stimulation environment. Probably the best way of teaching in general is one on one, but that’s not something everyone can afford. So, school ends up becoming this place where introverted kids learn that they have to act like extroverts. What do you think? Do you Agree or Disagree that Society has a cultural bias towards extroverts? Some have called the claim, “sour grapes”. But, interim Alberta PC Leader Ric Mciver brought up the idea of going to proportional representation style of voting. Proportional representation (PR) characterizes electoral systems by which divisions in an electorate are reflected proportionately in the elected body. If 30% of the electorate support a particular political party, then roughly 30% of seats will be won by that party. The essence of such systems is that all votes contribute to the result: not just a plurality, or a bare majority, of them. Proportional representation requires the use of multiple-member voting districts (also called super-districts); it is not possible using single-member districts alone. If we did have proportional representation, this is what the current seating would look like. Now, while the PC would obviously benefit from this, there is only three countries, that do not have proportional representation. They are Canada, U.S., and Britain. Do you agree or disagree with Proportional Representation?